Lennox's Central Region is from Waco to the Dakotas, the center of the nation. There are 100,000 contractors in the United States. You could safely say there are thousands of Lennox dealers in the Central Region. Dalco is among the top 100 of all those dealers. That's saying a lot about Dalco and what the Dalco Team stands for. General Manager JD Points said, "We have the right people, we have the skills, and we have the opportunities". 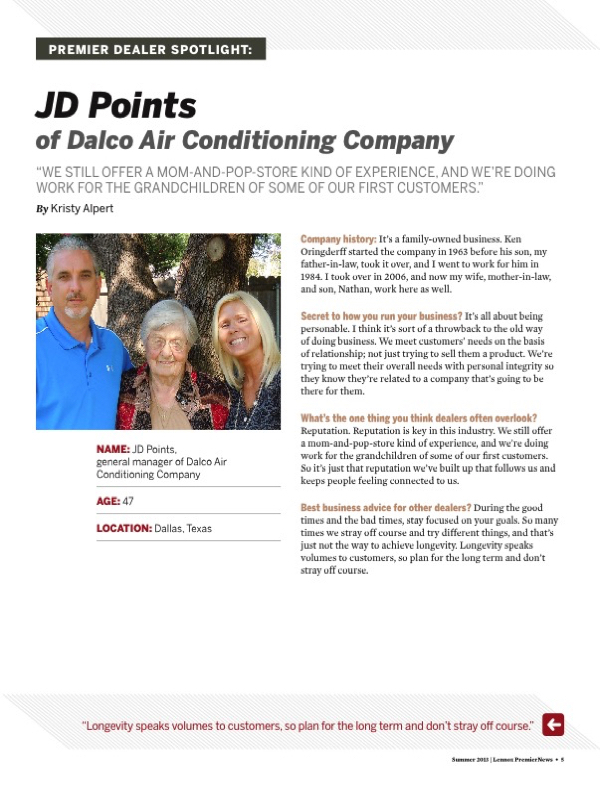 Congratulations to the entire team at Dalco AC of Dallas, Texas. 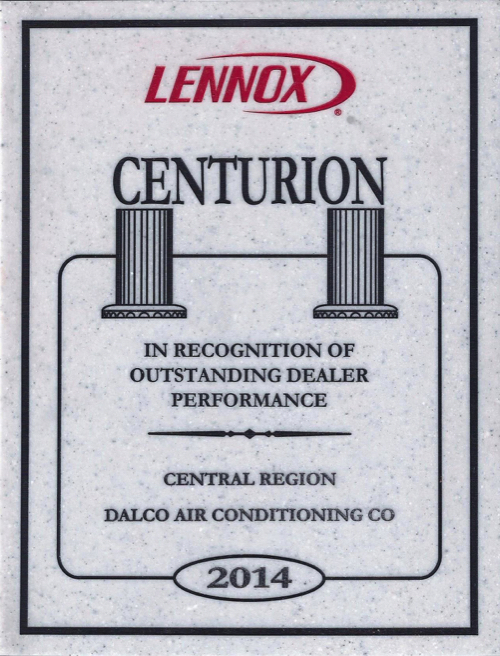 JD Points, General Manager of Dalco Air Conditioning Company, recognized by Lennox Premier Dealer Spotlight Program. "We still offer a Mom-and-Pop-Store kind of experience, and we're doing work for the grandchildren of some of our first customers."